Donald Trump drags in Bush's "mommy" to long feud. 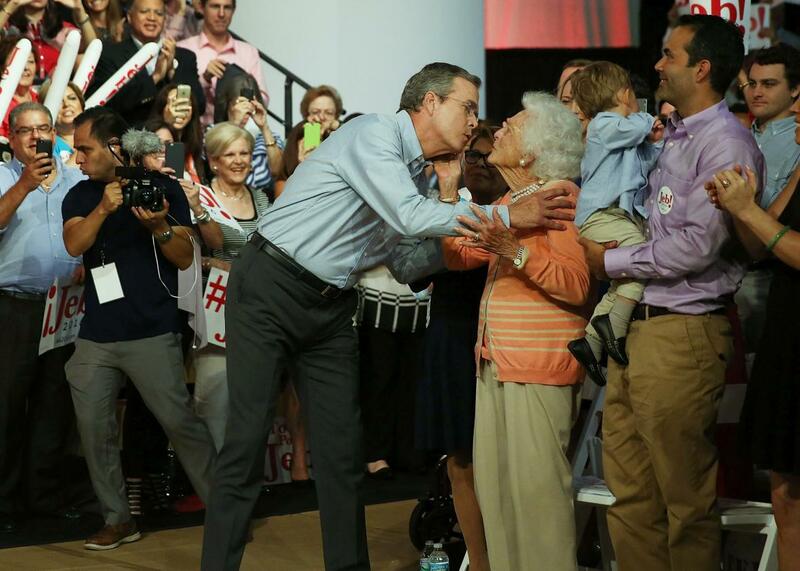 Former Florida Governor Jeb Bush kisses his mother Barbara Bush as he is introduced to announce his candidacy for the Republican presidential nomination on June 15, 2015 in Miami. The long fight between Jeb Bush and Donald Trump reached a new level of personal after the real estate mogul called out his opponent for relying on his “mommy” to gain support. It all began when Bush released an ad that features his mom Barbara Bush uttering a thinly veiled attack against Trump. “When push comes to shove people are going to realize Jeb has real solutions, rather than talking about how popular they are, how great they are,” Barbara Bush says in the ad. 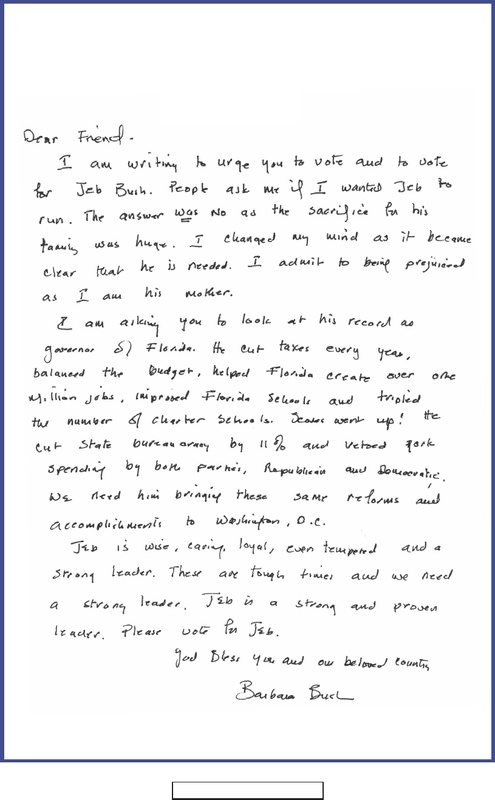 She also released a hand-written letter that calls on voters to support her son. Bush then responded again: “I’d be careful Donald.” He accompanied the post with a photo of Barbara Bush wearing shoulder pads and eye black. That photo was taken from a 2014 photo shoot with Houston Texans’ defensive end J.J. Watt. The two appeared in an ad that called on parents to “tackle” the problem of illiteracy by reading to their kids.